As I started writing this post, I realized that with all the craziness of the United Methodist Children’s Home project and my client work, I haven’t told you about some really exciting news. To be honest, I thought I had told you. I’ve been sitting at my desk this morning for way too long trying to hunt down the imaginary post that I thought I had written. Oh well, here goes. I am doing my first show house! Before the UMCH madness kicked in last month, Sherry and I put together a presentation for the Cathedral Antiques Show Inspiration House. It was great fun collaborating with another designer that I admire so much. It was even more exciting to be chosen to do the space. Now the real work begins. 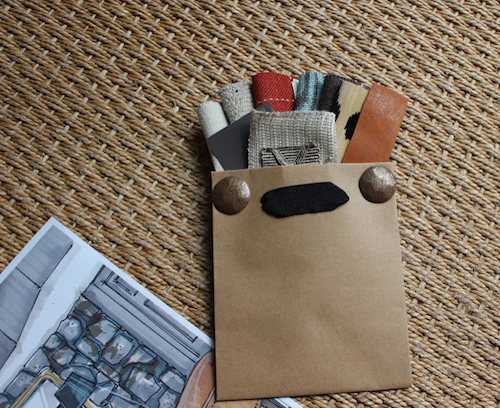 The first thing we did was go shopping to get our ideas together and create the design plan. 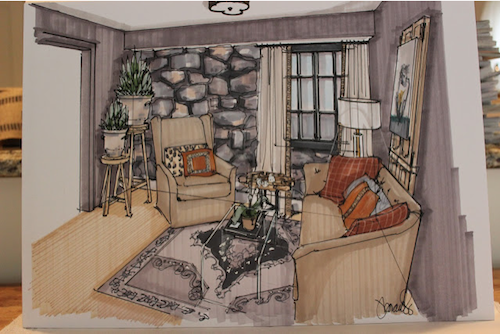 We then contacted Joan Borawski, who is an amazing artist, to do our renderings for the space. Here they are in color. 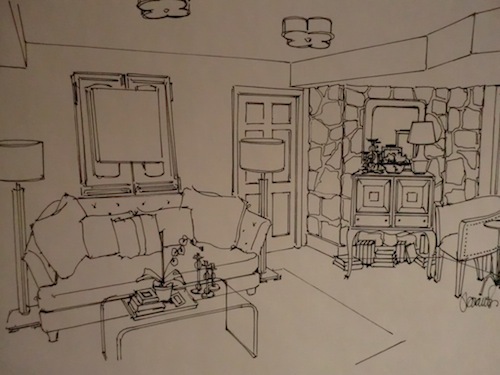 To say that Joan is talented is a complete understatement. Thanks Joann and Kelly for recommending her! 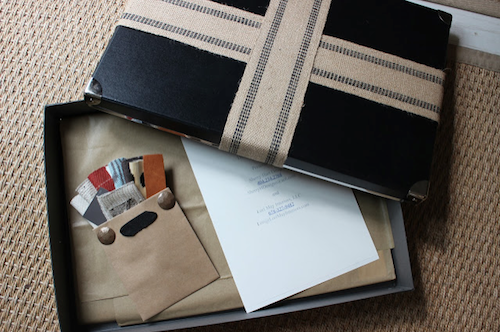 These are our fabrics and the fabulous presentation box that Sherry found at the Container Store. Now, it’s crunch time. December is construction month, so we are getting the painting and flooring lined up. We found some gorgeous antiques last week that we may be able to use. ( I’ll share a few of those with you in Friday’s “What I found this week” post.) That shopping trip really took away some of the pressure of preparing for our first show house, over Christmas, no less! It can feel a bit overwhelming to put it all out there for thousands of Atlanta design lovers to see and critique, but I really feel that Sherry and I have got this. To be honest, my willingness to put it all out there is the gift that my interior design business and this blog have given me. There have been many firsts for me over the past couple of years and putting it all out there has brought me to a new level of confidence. Don’t get me wrong, I have my down days, but I remember that sometimes you have to get outside your comfort zone to get to the next level. That’s what putting it all out there is about! 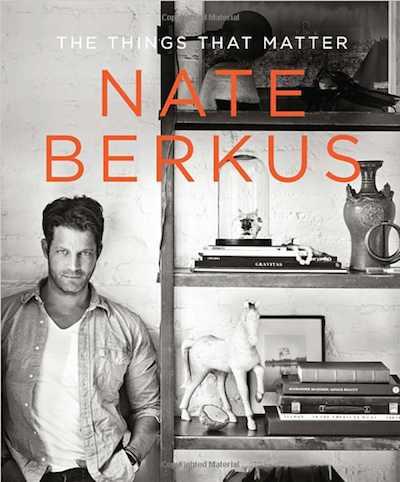 I have loved Nate Berkus since the day he first graced Oprah’s stage. In this book, he seems to have truly come into his own. 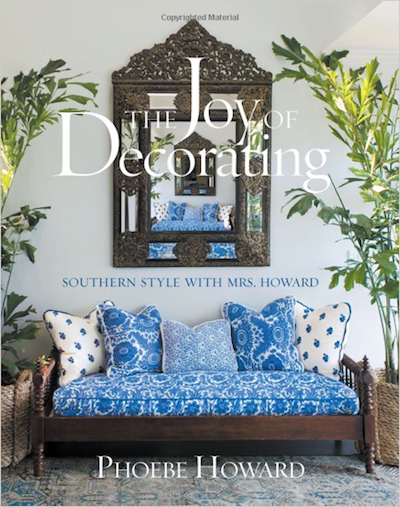 He shares stories and photos of his life as well as his own beautiful interiors and those that inspire him. You can tell that to Nate, things really do matter. This book was given to me earlier in the year by a sweet client of mine. When I finished her family room, she gave me a several amazing design books (she knows me well!) 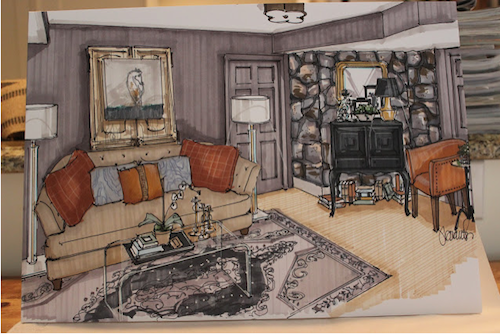 and Celerie Kimble’s Black and White was my favorite. 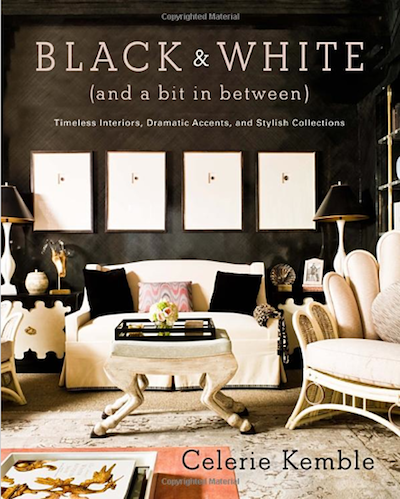 You might think that a book of black and white designs would be boring, but Kemble creates rooms full of texture and drama, while at the same time feeling livable and cozy. I can promise you that you’ll never look at black and white in quite the same way. I can honestly call this book my number one reference guide. Even though Phoebe Howard’s style is a bit more traditional than mine, her execution is flawless and will stand the test of time. I also love the fact that like me, she is self taught designer who followed her passion! Okay, you know I’m not a big DIY’er, but Young House Love was one of the first blogs I ever read and I couldn’t (and still can’t) get over the projects these two take on and their fabulous results. 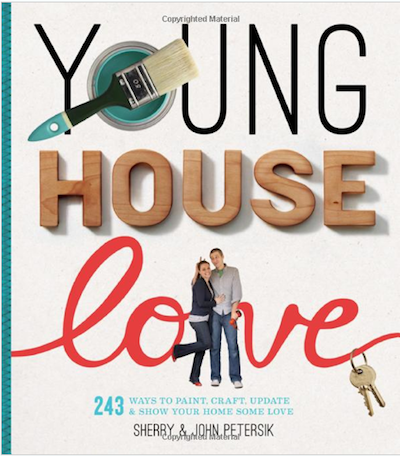 When the Young House Love book came out, I had to have it and I have not been disappointed. While I have yet to try any of the projects myself, I feel confident that with John and Sherry’s tips, I could pull it off. 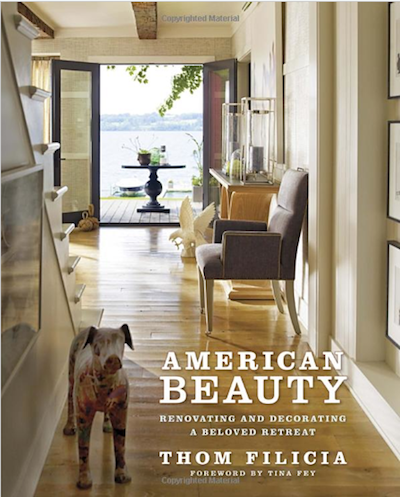 I added Thom Filicia’s new book to my list as soon as I saw his beautiful lake home in November’s issue of House Beautiful. To me, he truly does represent an updated American style. 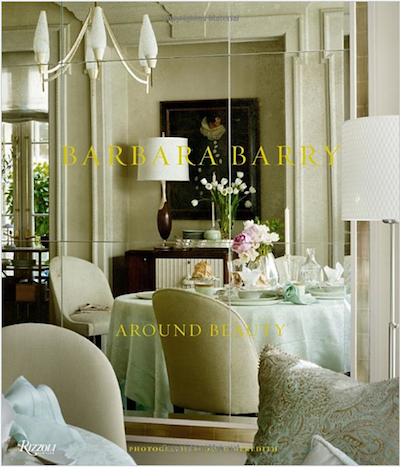 What can I say, there is nothing that Barbara Barry does that I don’t find beautiful. 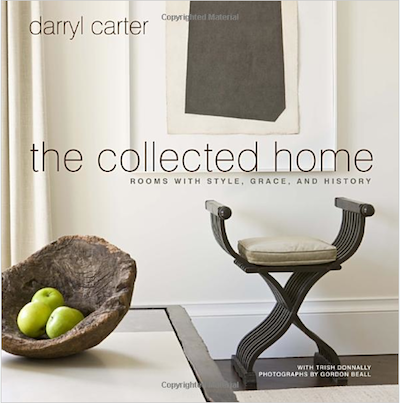 And last, but certainly not least is Darryl Carter’s simple, yet elegant style. 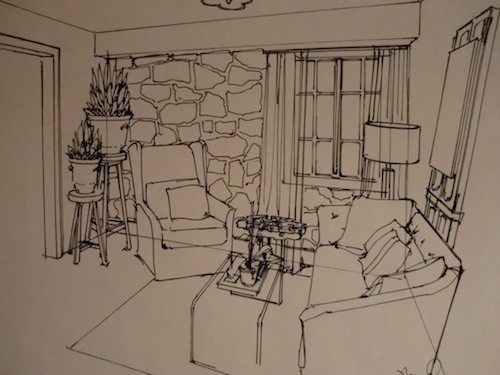 I adore his effortless mix of new and old. He is a master and I learn something new each time I see one of his gorgeous spaces. I hope this gives you some ideas for your holiday list. (If any member of my family is reading this, you obviously know what I want this year!) I can just see myself on Christmas morning sitting with a cup of tea and one of these lovelies… Fingers crossed!